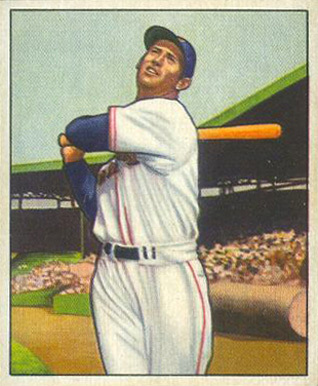 1950 Bowman set was the only year in which it had a monopoly on baseball cards. There were no other national issues released that year. 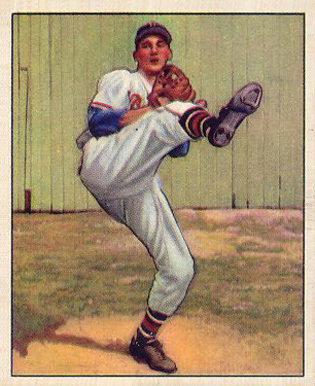 This set numbered 252 cards total. 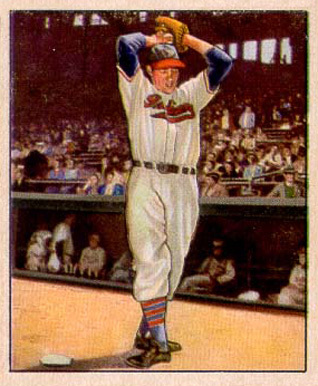 As with the 1949 Bowman set, the cards measured 2 1/16″ by 2 1/2″ inches, quite a bit smaller than what is now considered the standard size for baseball cards. 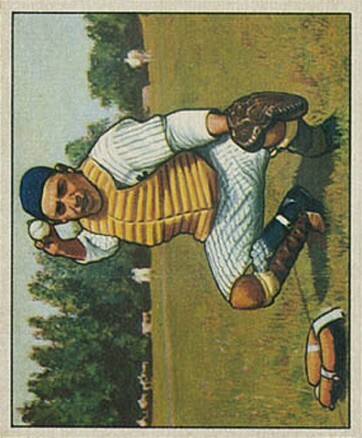 The card fronts feature hand-painted color reproductions of actual photographs. 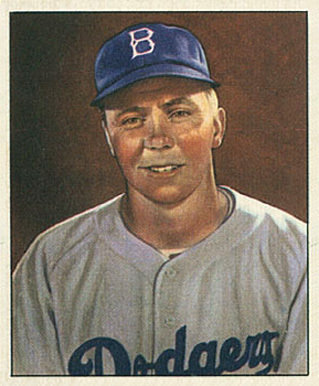 Bowman’s 1950 set did not have any competition thus most major stars of the era are represented in this set, including Ted Williams, Jackie Robinson, Yogi Berra, Pee Wee Reese, Phil Rizzuto, Robin Roberts, Johnny Mize and Duke Snider. 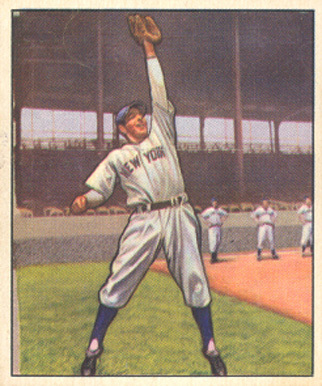 However, the set lacks big-name rookie cards, which has hurt its collectible value. 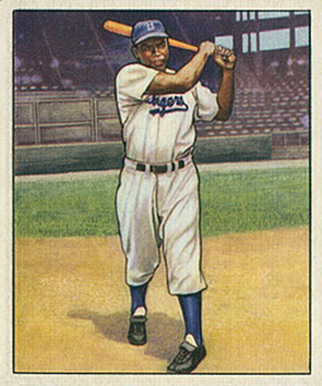 Unlike most vintage sets, in which the high-number cards are usually harder to find (and thus more valuable), the 1950 set is actually harder to find in the low numbers, cards 1-72. 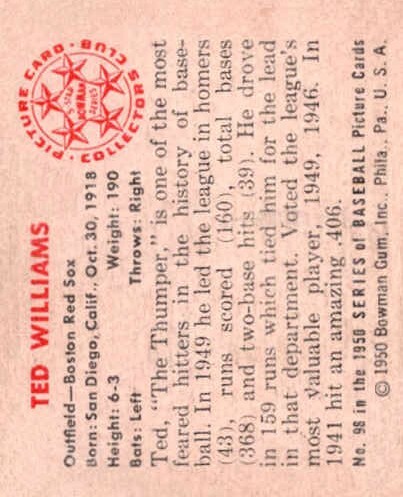 Cards 181 to 252 can be found with or without a copyright line at the bottom of the card’s back (the versions without the copyright being less common).